Men with Clubs won the jury prize at HotCity Theatre’s 2007 GreenHouse New Play Festival in St. Louis. The world premiere took place in April 2008, a production nominated for Outstanding New Play by the 2009 Kevin Kline Awards. 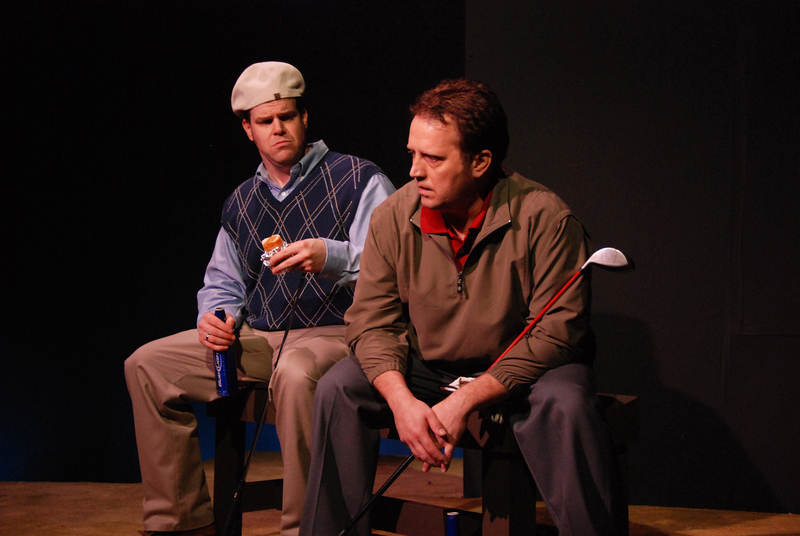 Men with Clubs was also selected for new play festivals at the Penobscot Theatre Company (2007) as well as the North American Actors Association in London (2006). Men with Clubs, a journey through death and rebirth during a round of golf, is a meditation on straight male friendship. Gregory specifies “straight” because the male friendships of his formative years revolved around the not-so-gentle questioning of one’s sexuality for the sake of humiliation and humor. This is the uneasy context for the central question of his play – can straight men “break up” with each other? The action follows four childhood friends through life, death, and rebirth during one round of golf on a freezing day in the middle of nowhere America. 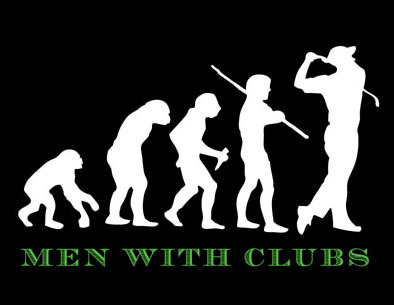 However, Men with Clubs is not just for golfers . . .or just for men. It is a comedy for anyone who ever thought their best friend was out to kill them. The production requires just four actors in their early thirties and a bare stage. Deprived of the usual grassy trappings of golf, viewers are compelled to release any preconceptions they may have about the game and focus on the emotional clashes that unfold. The only visible props are golf clubs, which gives them special meaning and menace as the characters wield them. Though funny, Men with Clubs touches on serious themes and ideas: friendship as a pact more complex than marriage, modern man’s struggles to fulfill culturally assigned roles, and revenge as an undeniable reflex. Also, the structure is a lot of fun – light-hearted ensemble scenes interspersed with private moments where the characters reveal hidden vendettas, and longings, for one another.